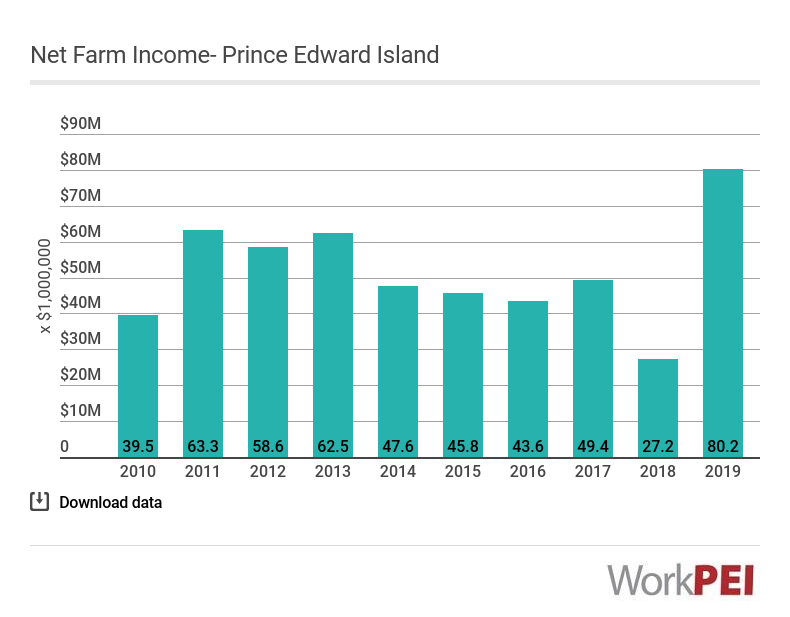 In 2017, Prince Edward Island’s total net farm income decreased $8.9 million to $34.7 million. Adapted from Statistics Canada, Table 32-10-0052-01 (Net farm income). This does not constitute an endorsement by Statistics Canada of this product. Provides an annual measure of income returned to the operators of agricultural businesses from the production of agricultural commodities.